SrIperumbUthUr – Adi rOhiNi/mrgaSIrsham, ANdAL thirunakshathra mahOthsavam day 4 (yesterday) – http://sriperumbuthur.blogspot.com/2016/07/july-2016-week-5.html . SrIvillipuththUr – ANdAL thirunakshathra mahOthsavam – day 3 (yesterday) – http://srivilliputhur.koyil.org/?p=527 . bhagavath gIthA – 2nd chapter, SlOkam 33 – http://githa.koyil.org/index.php/2-33/ based on http://githa.koyil.org/index.php/2-33-original/ added in http://githa.koyil.org/index.php/chapter-2/ based on http://githa.koyil.org/index.php/chapter-2-original/ . 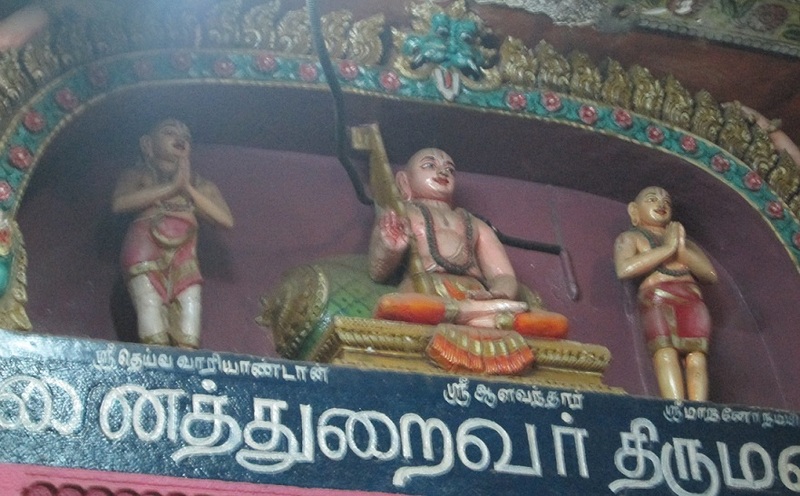 guru paramaparai – kUra nArAyaNa jIyar – life and glories in thamizh – https://guruparamparaitamil.wordpress.com/2016/07/30/kura-narayana-jiyar/ based on https://guruparamparai.wordpress.com/2013/12/30/kura-narayana-jiyar/ – new article by new article by sadagopan swamy . Please visit https://guruparamparaitamil.wordpress.com/2015/03/14/introduction-2/ to see the full list. thiruvAimozhi 3.2.10 – thalaippey kAlam – http://divyaprabandham.koyil.org/index.php/2016/07/thiruvaimozhi-3-2-10-thalaippey-kalam/ – English translation. Full series can be viewed at http://divyaprabandham.koyil.org/index.php/thiruvaimozhi/ . thirumAlalai – pAsuram 2 – part 1 – http://divyaprabandham.koyil.org/index.php/2016/07/thirumalai-2-part-1/ – English translation by T N krishNan swamy. Full series can be viewed at http://divyaprabandham.koyil.org/index.php/2016/07/thirumalai/ . rAmAnusa nURRanthAdhi pAsuram 38 – http://divyaprabandham.koyil.org/index.php/2016/07/ramanusa-nurranthadhi-38/ – English translation by raghurAm swamy. Full series can be viewed at http://divyaprabandham.koyil.org/index.php/2015/07/ramanusa-nurranthadhi/ . SrIperumbUthUr – Adi kArthigai, ANdAL thirunakshathra mahOthsavam day 3 (yesterday) – http://sriperumbuthur.blogspot.com/2016/07/july-2016-week-5.html . 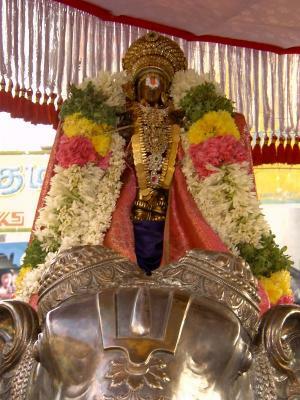 SrIvillipuththUr – ANdAL thirunakshathra mahOthsavam – day 2 (yesterday) – http://srivilliputhur.koyil.org/?p=527 . bhagavath gIthA – 2nd chapter, SlOkams 31 and 32 added in http://githa.koyil.org/index.php/chapter-2/ based on http://githa.koyil.org/index.php/chapter-2-original/ . new article “ALavandhAr’s Sishyas – Part 1” – http://pillai.koyil.org/index.php/2016/07/beginners-guide-alavandhars-sishyas-1/ by jAnaki ammangar as part of Beginner’s guide (http://pillai.koyil.org/index.php/beginners-guide/) series. Simple Guide to SrIvaishNavam – AchArya Sishya relationship – https://srivaishnavagranthamstelugu.wordpress.com/2016/07/29/simple-guide-to-srivaishnavam-acharya-sishya/ based on http://ponnadi.blogspot.in/2015/12/simple-guide-to-srivaishnavam-acharya-sishya.html – Telugu translation by shashidhar swamy. Full series can be viewed at https://srivaishnavagranthamstelugu.wordpress.com/simple-guide-to-srivaishnavam/ . thiruvAimozhi 3.2.9 – kUvik kUvi – http://divyaprabandham.koyil.org/index.php/2016/07/thiruvaimozhi-3-2-9-kuvik-kuvi/ – English translation. Full series can be viewed at http://divyaprabandham.koyil.org/index.php/thiruvaimozhi/ . pUrva dhinacharyA – SlOkams 26 to 32 – english translation by Dr M varadharAjan swamy and uploaded by vEnkatEsh swamy – http://divyaprabandham.koyil.org/index.php/2015/05/sri-varavaramuni-dhinacharya/ . With this pUrva dhinacharyA is completed. SrIperumbUthUr – Adi bharaNi, ANdAL thirunakshathra mahOthsavam day 2 (yesterday) – http://sriperumbuthur.blogspot.com/2016/07/july-2016-week-5.html . SrIvillipuththUr – ANdAL thirunakshathra mahOthsavam – day 1 (yesterday) – http://srivilliputhur.koyil.org/?p=527 . bhagavath gIthA – 2nd chapter, SlOkams 26 to 30 added in http://githa.koyil.org/index.php/chapter-2/ based on http://githa.koyil.org/index.php/chapter-2-original/ . SrIvaishNava Education/Kids Portal – Commencement of SrIvaishNavam – Beginner’s guide (ஸ்ரீவைஷ்ணவம் – பால பாடம்) – http://pillai.koyil.org/index.php/beginners-guide-tamil/ based on http://pillai.koyil.org/index.php/beginners-guide/ – thamizh translation by geethA ammangar. thiruvAimozhi 3.2.8 – mEvu thunba – http://divyaprabandham.koyil.org/index.php/2016/07/thiruvaimozhi-3-2-8-mevu-thunba/ – English translation. Full series can be viewed at http://divyaprabandham.koyil.org/index.php/thiruvaimozhi/ . rAmAnusa nURRanthAdhi pAsuram 37 – http://divyaprabandham.koyil.org/index.php/2016/07/ramanusa-nurranthadhi-37/ – English translation by raghurAm swamy. Full series can be viewed at http://divyaprabandham.koyil.org/index.php/2015/07/ramanusa-nurranthadhi/ . pUrva dhinacharyA – SlOkams 18 to 25 – english translation by Dr M varadharAjan swamy and uploaded by vEnkatEsh swamy – http://divyaprabandham.koyil.org/index.php/2015/05/sri-varavaramuni-dhinacharya/ . SrIperumbUthUr – Adi aSwini, ANdAL thirunakshathra mahOthsavam day 1 (yesterday) – http://sriperumbuthur.blogspot.com/2016/07/july-2016-week-5.html . bhagavath gIthA – 2nd chapter, SlOkams 23 to 25 added in http://githa.koyil.org/index.php/chapter-2/ based on http://githa.koyil.org/index.php/chapter-2-original/ . thiruvAimozhi 3.2.7 – engyAnRu – http://divyaprabandham.koyil.org/index.php/2016/07/thiruvaimozhi-3-2-7-engyanru/ – English translation. Full series can be viewed at http://divyaprabandham.koyil.org/index.php/thiruvaimozhi/ . pUrva dhinacharyA – SlOkams 14 to 17 – english translation by Dr M varadharAjan swamy and uploaded by vEnkatEsh swamy – http://divyaprabandham.koyil.org/index.php/2015/05/sri-varavaramuni-dhinacharya/ . SrIperumbUthUr – Adi rEvathi (yesterday) – http://sriperumbuthur.blogspot.com/2016/07/july-2016-week-5.html . bhagavath gIthA – 2nd chapter, SlOkams 19 to 22 added in http://githa.koyil.org/index.php/chapter-2/ based on http://githa.koyil.org/index.php/chapter-2-original/ . thiruvAimozhi 3.2.6 – kiRpan killEn – http://divyaprabandham.koyil.org/index.php/2016/07/thiruvaimozhi-3-2-6-kirpan-killen/ – English translation. Full series can be viewed at http://divyaprabandham.koyil.org/index.php/thiruvaimozhi/ . thirumAlalai – pAsuram 1 – part 2 – http://divyaprabandham.koyil.org/index.php/2016/07/thirumalai-1-part-2/ – English translation by T N krishNan swamy. Full series can be viewed at http://divyaprabandham.koyil.org/index.php/2016/07/thirumalai/ . SrIperumbUthUr – Adi uthrattAdhi (yesterday) – http://sriperumbuthur.blogspot.com/2016/07/july-2016-week-5.html . bhagavath gIthA – 2nd chapter, 18th SlOkam ( http://githa.koyil.org/index.php/2-18/ based on http://githa.koyil.org/index.php/2-18-original/ ) added in http://githa.koyil.org/index.php/chapter-2/ based on http://githa.koyil.org/index.php/chapter-2-original/ . 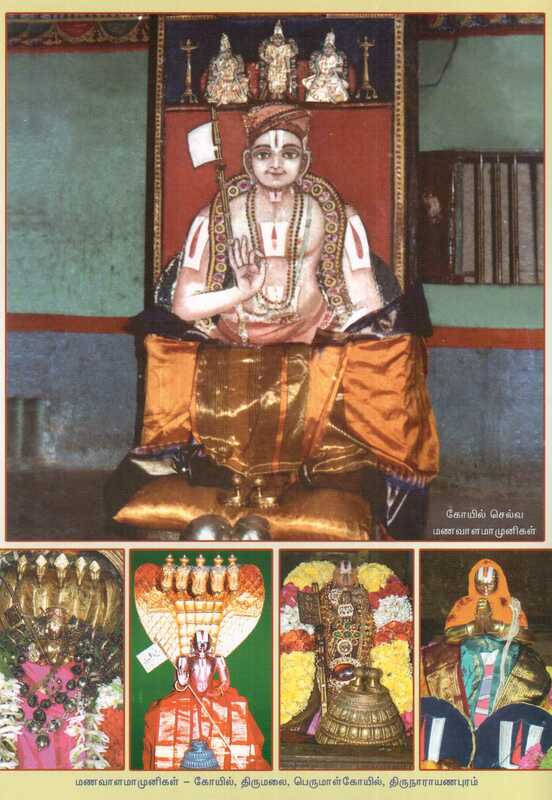 guru paramaparai – sOmAsiyANdAn – life and glories in thamizh – https://guruparamparaitamil.wordpress.com/2016/07/25/somasiyandan/ based on http://guruparamparai.wordpress.com/2013/04/09/somasiyandan/ – new article by new article by sadagopan swamy . Please visit https://guruparamparaitamil.wordpress.com/2015/03/14/introduction-2/ to see the full list. thiruvAimozhi 3.2.5 – vandhAy pOlE – http://divyaprabandham.koyil.org/index.php/2016/07/thiruvaimozhi-3-2-5-vandhay-pole/ – English translation. Full series can be viewed at http://divyaprabandham.koyil.org/index.php/thiruvaimozhi/ . rAmAnusa nURRanthAdhi pAsuram 36 – http://divyaprabandham.koyil.org/index.php/2016/07/ramanusa-nurranthadhi-36/ – English translation by raghurAm swamy. Full series can be viewed at http://divyaprabandham.koyil.org/index.php/2015/07/ramanusa-nurranthadhi/ . Commencement of yathirAja vimSathi telugu translation by chudAmaNi ammangar at http://divyaprabandham.koyil.org/index.php/2016/07/yathiraja-vimsathi-telugu/ based on http://divyaprabandham.koyil.org/index.php/2015/10/yathiraja-vimsathi-tamil/ . SrIperumbUthUr – Adi pUrattAdhi (yesterday) – http://sriperumbuthur.blogspot.com/2016/07/july-2016-week-5.html . bhagavath gIthA – 2nd chapter, 17th SlOkam ( http://githa.koyil.org/index.php/2-17/ based on http://githa.koyil.org/index.php/2-17-original/ ) added in http://githa.koyil.org/index.php/chapter-2/ based on http://githa.koyil.org/index.php/chapter-2-original/ . guru paramaparai – kulaSEkarAzhwAr – life and glories in kannada – https://guruparamparaikannada.wordpress.com/2016/07/24/kulasekara-azhwar/ based on http://guruparamparai.wordpress.com/2013/01/18/kulasekara-azhwar/ – new article by MA pArthasArathy swamy. Please visit https://guruparamparaikannada.wordpress.com/2015/08/17/introduction-2/ to see the full list. Common thaniyans – http://divyaprabandham.koyil.org/index.php/thaniyans-tamil/ based on http://divyaprabandham.koyil.org/index.php/thaniyans-invocation/ – thamizh translation by SAnthi ammangar . thiruvAimozhi 3.2.4 – sUzhchchi – http://divyaprabandham.koyil.org/index.php/2016/07/thiruvaimozhi-3-2-4-suzhchchi/ – English translation. Full series can be viewed at http://divyaprabandham.koyil.org/index.php/thiruvaimozhi/ . SrIperumbUthUr – Adi sathayam (yesterday) – http://sriperumbuthur.blogspot.com/2016/07/july-2016-week-4.html . bhagavath gIthA – 2nd chapter, 16th SlOkam ( http://githa.koyil.org/index.php/2-16/ based on http://githa.koyil.org/index.php/2-16-original/ ) added in http://githa.koyil.org/index.php/chapter-2/ based on http://githa.koyil.org/index.php/chapter-2-original/ . thiruvAimozhi 3.1 – English e-book link available at http://divyaprabandham.koyil.org/index.php/2016/07/thiruvaimozhi-3rd-centum/ and http://divyaprabandham.koyil.org/index.php/e-books/ . Thanks to parAsara (pradeep) swamy for preparing the e-book. thiruvAimozhi 3.2.3 – kollA mAkkOl – http://divyaprabandham.koyil.org/index.php/2016/07/thiruvaimozhi-3-2-3-kolla-makkol/ – English translation. Full series can be viewed at http://divyaprabandham.koyil.org/index.php/thiruvaimozhi/ . Arththi prabandham – pAsuram 17 – http://divyaprabandham.koyil.org/index.php/2016/07/arththi-prabandham-17/ – English translation by santhAnam swamy. Full series can be viewed at – http://divyaprabandham.koyil.org/index.php/2016/05/arththi-prabandham/ . This entry was posted in Uncategorized on July 23, 2016 by Sarathy Thothathri. SrIperumbUthUr – Adi avittam, Friday (yesterday) – http://sriperumbuthur.blogspot.com/2016/07/july-2016-week-4.html . thirukkaNNamangai – Adi veLLi/Friday (yesterday) – http://thirukkannamangai.koyil.org/?p=328 . SrI vAnamAmalai mutt – SrImath paramahamsa ithyAdhi vAnamAmalai rAmAnuja jIyar chAthurmAsya sankalpam at nAthankOyil (nandhipura viNNagaram) (yesterday) – http://vanamamalai.us/index.php?option=com_content&view=article&id=532:sri-vanamamalai-jiyar-chathurmasyam-2016&catid=3:newsflash&Itemid=110 . bhagavath gIthA – 2nd chapter, 15th SlOkam ( http://githa.koyil.org/index.php/2-15/ based on http://githa.koyil.org/index.php/2-15-original/ ) added in http://githa.koyil.org/index.php/chapter-2/ based on http://githa.koyil.org/index.php/chapter-2-original/ . thiruvAimozhi 3.2.2 – vanmA vaiyam – http://divyaprabandham.koyil.org/index.php/2016/07/thiruvaimozhi-3-2-2-vanma-vaiyam/ – English translation. Full series can be viewed at http://divyaprabandham.koyil.org/index.php/thiruvaimozhi/ . thirumAlalai – pAsuram 1 – part 1 – http://divyaprabandham.koyil.org/index.php/2016/07/thirumalai-1-part-1/ – English translation by T N krishNan swamy. Full series can be viewed at http://divyaprabandham.koyil.org/index.php/2016/07/thirumalai/ . SrIranga gadhyam – English e-book link available at http://divyaprabandham.koyil.org/index.php/2016/02/sriranga-gadhyam/ and http://divyaprabandham.koyil.org/index.php/e-books/ . Thanks to parAsara (pradeep) swamy for preparing the e-book. SrIperumbUthUr – Adi SravaNam (yesterday) – http://sriperumbuthur.blogspot.com/2016/07/july-2016-week-4.html . bhagavath gIthA – 2nd chapter, 14th SlOkam ( http://githa.koyil.org/index.php/2-14/ based on http://githa.koyil.org/index.php/2-14-original/ ) added in http://githa.koyil.org/index.php/chapter-2/ based on http://githa.koyil.org/index.php/chapter-2-original/ . thiruvAimozhi 2.10 – English e-book link available at http://divyaprabandham.koyil.org/index.php/2015/11/thiruvaimozhi-2nd-centum/ and http://divyaprabandham.koyil.org/index.php/e-books/ . Thanks to parAsara (pradeep) swamy for preparing the e-book. thiruvAimozhi 2nd centum (full) – English e-book is also available at the same locations. rAmAnusa nURRanthAdhi pAsuram 35 – http://divyaprabandham.koyil.org/index.php/2016/07/ramanusa-nurranthadhi-35/ – English translation by raghurAm swamy. Full series can be viewed at http://divyaprabandham.koyil.org/index.php/2015/07/ramanusa-nurranthadhi/ . Arththi prabandham – pAsuram 16 – http://divyaprabandham.koyil.org/index.php/2016/07/arththi-prabandham-16/ – English translation by santhAnam swamy. Full series can be viewed at – http://divyaprabandham.koyil.org/index.php/2016/05/arththi-prabandham/ . SrIperumbUthUr – Adi uthrAdam (yesterday) – http://sriperumbuthur.blogspot.com/2016/07/july-2016-week-4.html . bhagavath gIthA – 2nd chapter, 13th SlOkam ( http://githa.koyil.org/index.php/2-13/ based on http://githa.koyil.org/index.php/2-13-original/ ) added in http://githa.koyil.org/index.php/chapter-2/ based on http://githa.koyil.org/index.php/chapter-2-original/ . – new article by renga rAmAnujam swamy dhampathi . Please visit https://guruparamparaitamil.wordpress.com/2015/03/14/introduction-2/ to see the full list. thiruvAimozhi 3.2.1 – munnIr gyAlam – http://divyaprabandham.koyil.org/index.php/2016/07/thiruvaimozhi-3-2-1-munnir-gyalam/ – English translation. Full series can be viewed at http://divyaprabandham.koyil.org/index.php/thiruvaimozhi/ . Arththi prabandham – pAsuram 15 – http://divyaprabandham.koyil.org/index.php/2016/07/arththi-prabandham-15/ – English translation by santhAnam swamy. Full series can be viewed at – http://divyaprabandham.koyil.org/index.php/2016/05/arththi-prabandham/ . SrIperumbUthUr – Adi pUrAdam, paurNami (yesterday) – http://sriperumbuthur.blogspot.com/2016/07/july-2016-week-4.html . bhagavath gIthA – 2nd chapter, 12th SlOkam ( http://githa.koyil.org/index.php/2-12/ based on http://githa.koyil.org/index.php/2-12-original/ ) added in http://githa.koyil.org/index.php/chapter-2/ based on http://githa.koyil.org/index.php/chapter-2-original/ . – new article by SrIvaramangA ammangar and santhAnakrishNan swamy dhampathi . Please visit https://guruparamparaitamil.wordpress.com/2015/03/14/introduction-2/ to see the full list. SrIvaishNava granthams – virOdhi parihArangaL part 14 – https://srivaishnavagranthamshindi.wordpress.com/2016/07/19/virodhi-pariharangal-14/ based on https://srivaishnavagranthamshindi.wordpress.com/2016/07/19/virodhi-pariharangal-14/ – hindi translation by kEshav swamy. Full series can be viewed at https://srivaishnavagranthamshindi.wordpress.com/virodhi-pariharangal/ . dhivya prabandham – rAmAnusa nURRanthAdhi pAsuram 34 – http://divyaprabandham.koyil.org/index.php/2016/07/ramanusa-nurranthadhi-34/ – English translation by raghurAm swamy. Full series can be viewed at http://divyaprabandham.koyil.org/index.php/2015/07/ramanusa-nurranthadhi/ . SrIperumbUthUr – Adi thirumUlam (yesterday) – http://sriperumbuthur.blogspot.com/2016/07/july-2016-week-4.html . bhagavath gIthA – 2nd chapter, 11th SlOkam ( http://githa.koyil.org/index.php/2-11/ based on http://githa.koyil.org/index.php/2-11-original/ ) added in http://githa.koyil.org/index.php/chapter-2/ based on http://githa.koyil.org/index.php/chapter-2-original/ . dhivya prabandham – Commencement of thiruvAimozhi 3.2 – munnIr – http://divyaprabandham.koyil.org/index.php/2016/07/thiruvaimozhi-3-2-munnir/ – English translation. Audio recording of this decad available at http://divyaprabandham.koyil.org/index.php/2016/07/thiruvaimozhi-3-2-audio/ . Full series can be viewed at http://divyaprabandham.koyil.org/index.php/thiruvaimozhi/ . SrIperumbUthUr – Adi kEttai, mASa pravESam (yesterday) – http://sriperumbuthur.blogspot.com/2016/07/july-2016-week-4.html . SrIvaishNava granthams – thathva thrayam – achith (what is matter?) – https://srivaishnavagranthamshindi.wordpress.com/2016/07/17/thathva-thrayam-achith-what-is-matter/ based on http://ponnadi.blogspot.in/2013/03/thathva-thrayam-achith-what-is-matter.html – Hindi translation by bhagavathi ammangar . Full series available at https://srivaishnavagranthamshindi.wordpress.com/thathva-thrayam/ . 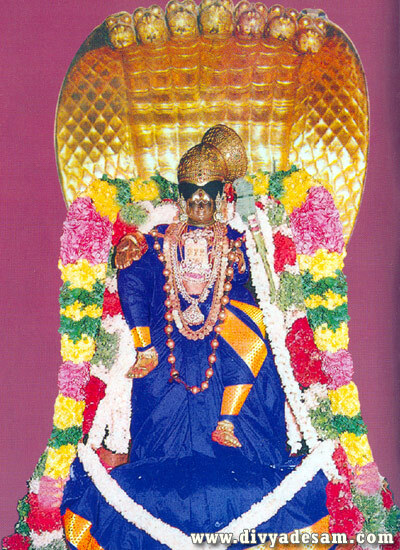 thiruvAimozhi 3.1.11 – viyappAya viyappillA – http://divyaprabandham.koyil.org/index.php/2016/07/thiruvaimozhi-3-1-11-viyappaya-viyappilla/ – English translation. Full series can be viewed at http://divyaprabandham.koyil.org/index.php/thiruvaimozhi/ . thirumAlalai – avathArikai (Introduction) – part 2 – http://divyaprabandham.koyil.org/index.php/2016/07/thirumalai-introduction-2/ – English translation by T N krishNan swamy. Full series can be viewed at http://divyaprabandham.koyil.org/index.php/2016/07/thirumalai/ . rAmAnusa nURRanthAdhi pAsuram 33 – http://divyaprabandham.koyil.org/index.php/2016/07/ramanusa-nurranthadhi-33/ – English translation by raghurAm swamy. Full series can be viewed at http://divyaprabandham.koyil.org/index.php/2015/07/ramanusa-nurranthadhi/ . SrIperumbUthUr – Adi anusham, mASa pravESam (yesterday) – http://sriperumbuthur.blogspot.com/2016/07/july-2016-week-3.html . thiruvAimozhi 3.1.10 – maRaiyAya – http://divyaprabandham.koyil.org/index.php/2016/07/thiruvaimozhi-3-1-10-maraiyaya/ – English translation. Full series can be viewed at http://divyaprabandham.koyil.org/index.php/thiruvaimozhi/ . rAmAnusa nURRanthAdhi pAsuram 32 – http://divyaprabandham.koyil.org/index.php/2016/07/ramanusa-nurranthadhi-32/ – English translation by raghurAm swamy. Full series can be viewed at http://divyaprabandham.koyil.org/index.php/2015/07/ramanusa-nurranthadhi/ . Arththi prabandham – pAsuram 14 – http://divyaprabandham.koyil.org/index.php/2016/07/arththi-prabandham-14/ – English translation by santhAnam swamy. Full series can be viewed at – http://divyaprabandham.koyil.org/index.php/2016/05/arththi-prabandham/ . This entry was posted in Uncategorized on July 16, 2016 by Sarathy Thothathri. SrIperumbUthUr – Ani EkAdhaSi (yesterday) – http://sriperumbuthur.blogspot.com/2016/07/july-2016-week-3.html . thiruvAimozhi 3.1.9 – mazhungAdha – http://divyaprabandham.koyil.org/index.php/2016/07/thiruvaimozhi-3-1-9-mazhungadha/ – English translation. Full series can be viewed at http://divyaprabandham.koyil.org/index.php/thiruvaimozhi/ . Arththi prabandham – pAsuram 13 – http://divyaprabandham.koyil.org/index.php/2016/07/arththi-prabandham-13/ – English translation by santhAnam swamy. Full series can be viewed at – http://divyaprabandham.koyil.org/index.php/2016/05/arththi-prabandham/ . SrIperumbUthUr – Ani visAgam (yesterday) – http://sriperumbuthur.blogspot.com/2016/07/july-2016-week-3.html . SrIvillipuththUr – periyAzhwAr thirunakshathra mahOthsavam day 11 (yesterday) – http://srivilliputhur.koyil.org/?p=508 . thiruvAimozhi 3.1.8 – mAsUNA – http://divyaprabandham.koyil.org/index.php/2016/07/thiruvaimozhi-3-1-8-masuna/ – English translation. Full series can be viewed at http://divyaprabandham.koyil.org/index.php/thiruvaimozhi/ . Arththi prabandham – pAsuram 12 – http://divyaprabandham.koyil.org/index.php/2016/07/arththi-prabandham-12/ – English translation by santhAnam swamy. Full series can be viewed at – http://divyaprabandham.koyil.org/index.php/2016/05/arththi-prabandham/ . SrIperumbUthUr – Ani swAthi (yesterday) – http://sriperumbuthur.blogspot.com/2016/07/july-2016-week-3.html . SrIvillipuththUr – periyAzhwAr thirunakshathra mahOthsavam day 10 (yesterday) – http://srivilliputhur.koyil.org/?p=508 . thiruvAimozhi 3.1.7 – vAzhththuvAr palarAga – http://divyaprabandham.koyil.org/index.php/2016/07/thiruvaimozhi-3-1-7-vazhththuvar-palaraga/ – English translation. Full series can be viewed at http://divyaprabandham.koyil.org/index.php/thiruvaimozhi/ . thirumAlalai – avathArikai (Introduction) – part 1 – http://divyaprabandham.koyil.org/index.php/2016/07/thirumalai-introduction-1/ – English translation by T N krishNan swamy. Full series can be viewed at http://divyaprabandham.koyil.org/index.php/2016/07/thirumalai/ . rAmAnusa nURRanthAdhi pAsuram 31 – http://divyaprabandham.koyil.org/index.php/2016/07/ramanusa-nurranthadhi-31/ – English translation by raghurAm swamy. Full series can be viewed at http://divyaprabandham.koyil.org/index.php/2015/07/ramanusa-nurranthadhi/ . Arththi prabandham – pAsuram 11 – http://divyaprabandham.koyil.org/index.php/2016/07/arththi-prabandham-11/ – English translation by santhAnam swamy. Full series can be viewed at – http://divyaprabandham.koyil.org/index.php/2016/05/arththi-prabandham/ . SrIperumbUthUr – Ani chithrai (yesterday) – http://sriperumbuthur.blogspot.com/2016/07/july-2016-week-3.html . SrIvillipuththUr – periyAzhwAr thirunakshathra mahOthsavam day 9 (yesterday) – http://srivilliputhur.koyil.org/?p=508 . SrI rAmAnuja dharsanam – e-magazine – July/Ani – thamizh Issue recently released and can be viewed at http://www.varavaramuni.com/home/sriramanuja-dharsanam-magazine/thamizh . bhagavath gIthA – 2nd chapter, 10th SlOkam ( http://githa.koyil.org/index.php/2-10/ based on http://githa.koyil.org/index.php/2-10-original/ ) added in http://githa.koyil.org/index.php/chapter-2/ based on http://githa.koyil.org/index.php/chapter-2-original/ . dhivya prabandham – thiruvAimozhi 3.1.6 – OdhuvAr OththellAm – http://divyaprabandham.koyil.org/index.php/2016/07/thiruvaimozhi-3-1-6-odhuvar-oththellam/ – English translation. Full series can be viewed at http://divyaprabandham.koyil.org/index.php/thiruvaimozhi/ . SrIperumbUthUr – Ani hastham (yesterday) – http://sriperumbuthur.blogspot.com/2016/07/july-2016-week-3.html . SrIvillipuththUr – periyAzhwAr thirunakshathra mahOthsavam day 8 (yesterday) – http://srivilliputhur.koyil.org/?p=508 . bhagavath gIthA – 2nd chapter, 9th SlOkam ( http://githa.koyil.org/index.php/2-9/ based on http://githa.koyil.org/index.php/2-9-original/ ) added in http://githa.koyil.org/index.php/chapter-2/ based on http://githa.koyil.org/index.php/chapter-2-original/ . SrIvaishNava Education Portal – new article “periya nambi” – http://pillai.koyil.org/index.php/2016/07/periya-nambi/ by jAnaki ammangar as part of Beginner’s guide (http://pillai.koyil.org/index.php/beginners-guide/) series. thiruvAimozhi 3.1.5 – varundhAdha – http://divyaprabandham.koyil.org/index.php/2016/07/thiruvaimozhi-3-1-5-varundhadha/ – English translation. Full series can be viewed at http://divyaprabandham.koyil.org/index.php/thiruvaimozhi/ . pUrva dhinacharyA – first 16 SlOkams – telugu translation by chUdAmaNi ammangar and uploaded by indumathi ammangar – http://divyaprabandham.koyil.org/index.php/2016/02/sri-varavaramuni-dhinacharya-telugu/ . SrIperumbUthUr – Ani uthram – thAyAr jyEshtAbishEkam (yesterday) – http://sriperumbuthur.blogspot.com/2016/07/july-2016-week-3.html . SrIvillipuththUr – periyAzhwAr thirunakshathra mahOthsavam day 7 (yesterday) – http://srivilliputhur.koyil.org/?p=508 . bhagavath gIthA – 2nd chapter, 8th SlOkam ( http://githa.koyil.org/index.php/2-8/ based on http://githa.koyil.org/index.php/2-8-original/ ) added in http://githa.koyil.org/index.php/chapter-2/ based on http://githa.koyil.org/index.php/chapter-2-original/ . SrIvaishNava Education Portal – new article “ALavandhAr” – http://pillai.koyil.org/index.php/2016/07/alavandhar/ by jAnaki ammangar as part of Beginner’s guide (http://pillai.koyil.org/index.php/beginners-guide/) series. thiruvAimozhi 3.1.4 – mAttAdhE Agilum – http://divyaprabandham.koyil.org/index.php/2016/07/thiruvaimozhi-3-1-4-mattadhe-agilum/ – English translation. Full series can be viewed at http://divyaprabandham.koyil.org/index.php/thiruvaimozhi/ . thirumAlalai – thaniyan – http://divyaprabandham.koyil.org/index.php/2016/07/thirumalai-thaniyan/ – English translation by T N krishNan swamy. Full series can be viewed at http://divyaprabandham.koyil.org/index.php/2016/07/thirumalai/ . SrIperumbUthUr – Ani pUram (yesterday) – http://sriperumbuthur.blogspot.com/2016/07/july-2016-week-2.html . SrIvillipuththUr – periyAzhwAr thirunakshathra mahOthsavam day 6 (yesterday) – http://srivilliputhur.koyil.org/?p=508 . bhagavath gIthA – 2nd chapter, 7th SlOkam ( http://githa.koyil.org/index.php/2-7/ based on http://githa.koyil.org/index.php/2-7-original/ ) added in http://githa.koyil.org/index.php/chapter-2/ based on http://githa.koyil.org/index.php/chapter-2-original/ . thiruvAimozhi 3.1.3 – paranjOdhi – http://divyaprabandham.koyil.org/index.php/2016/07/thiruvaimozhi-3-1-3-paranjodhi/ – English translation. Full series can be viewed at http://divyaprabandham.koyil.org/index.php/thiruvaimozhi/ . rAmAnusa nURRanthAdhi pAsuram 30 – http://divyaprabandham.koyil.org/index.php/2016/07/ramanusa-nurranthadhi-30/ – English translation by raghurAm swamy. Full series can be viewed at http://divyaprabandham.koyil.org/index.php/2015/07/ramanusa-nurranthadhi/ . This entry was posted in Uncategorized on July 9, 2016 by Sarathy Thothathri.